These are not a production item and so you will need to allow up to 14 days before shipment.. 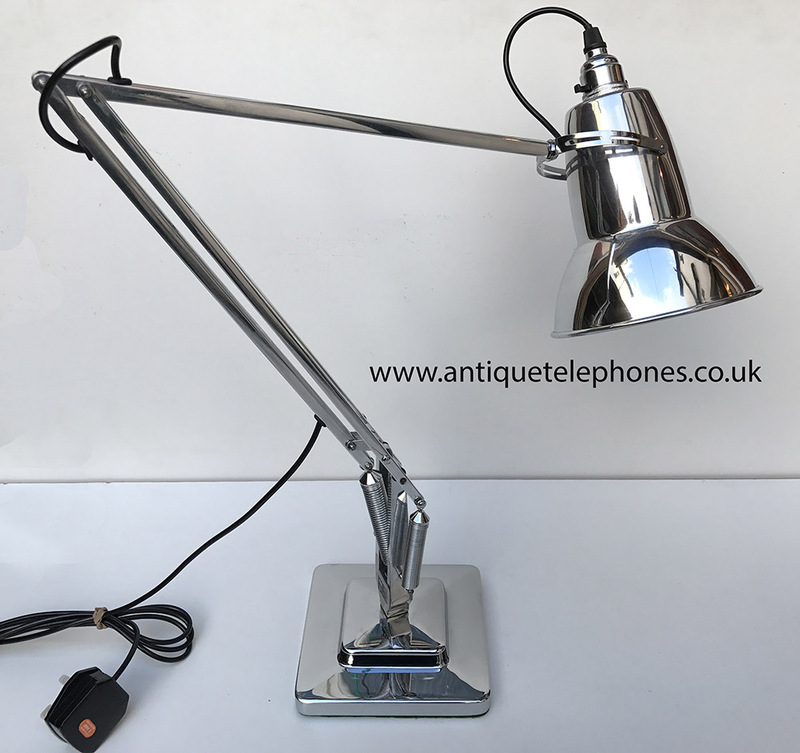 These fabulous quality lights are genuine Anglepoises made by Herbert Terry & Sons Ltd of Redditch, the originator and manufacturer of this classic British design. I have shown pictures of the before and after condition to give an idea of the painstaking work involved in bringing these lights back to their original condition. 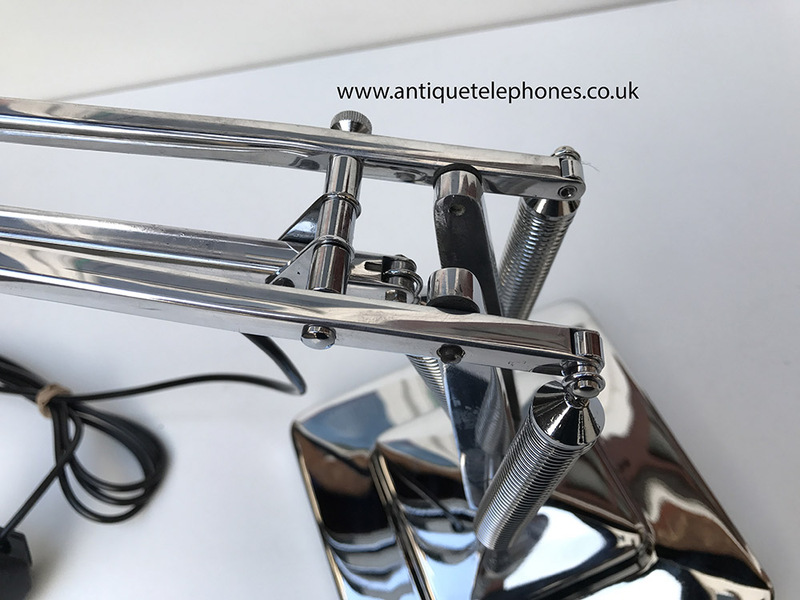 The Anglepoises have been completely dismantled and each component goes through its own very meticulous and individual restoration process. The main aluminium frame has been stripped of its paint and polished to as-new condition. 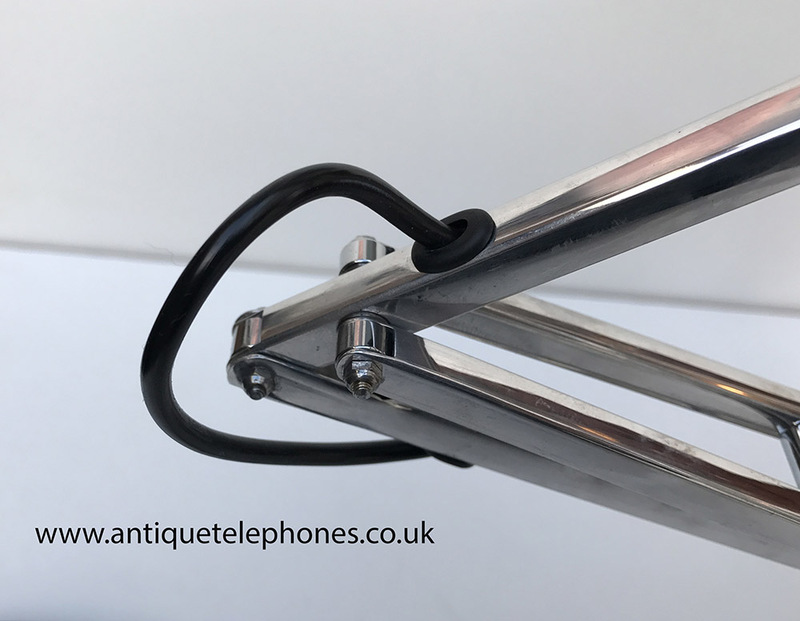 The unique springs, purpose made by Herbert Terry for the Anglepoise, are cleaned to remove all rust and are then carefully re-chromed. 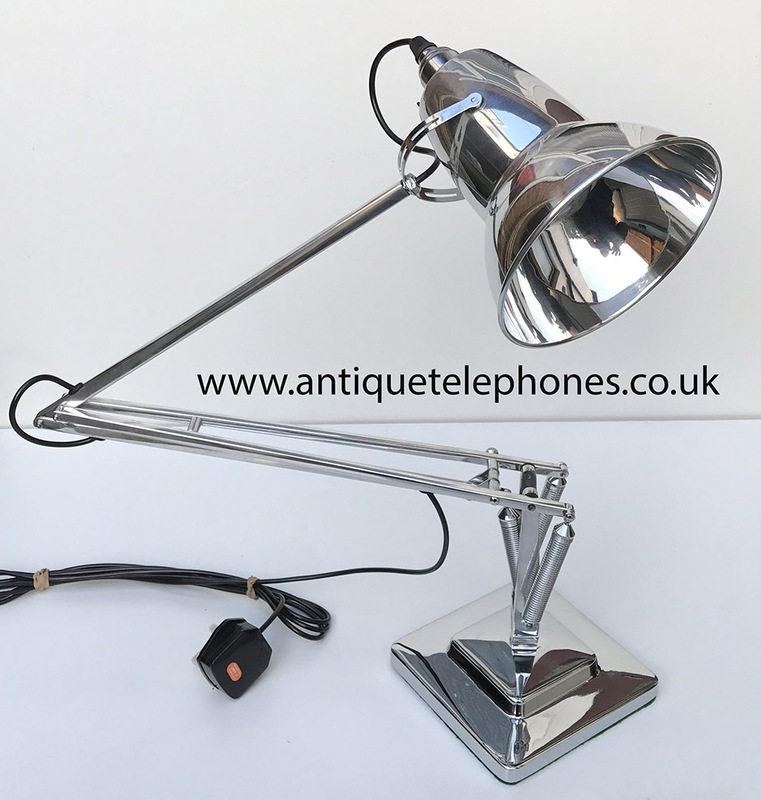 A few parts have been remade at great expense to allow the Anglepoise to be brought back to this superb condition. 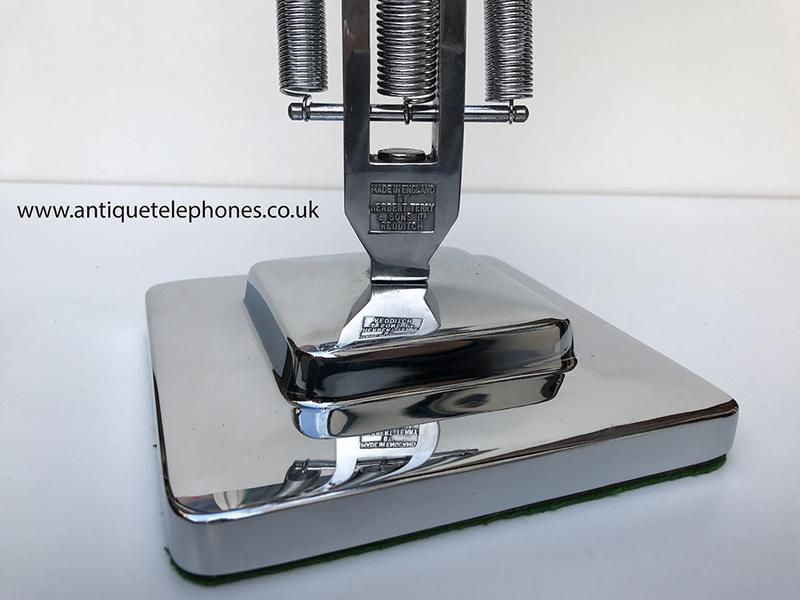 A few minor adjustments have been made when necessary such as reseating the small brass inserts of the mobile arms to make sure the mechanism will give another half century of trouble free service. Obviously, the lights are rewired to the highest modern electrical safety standards. 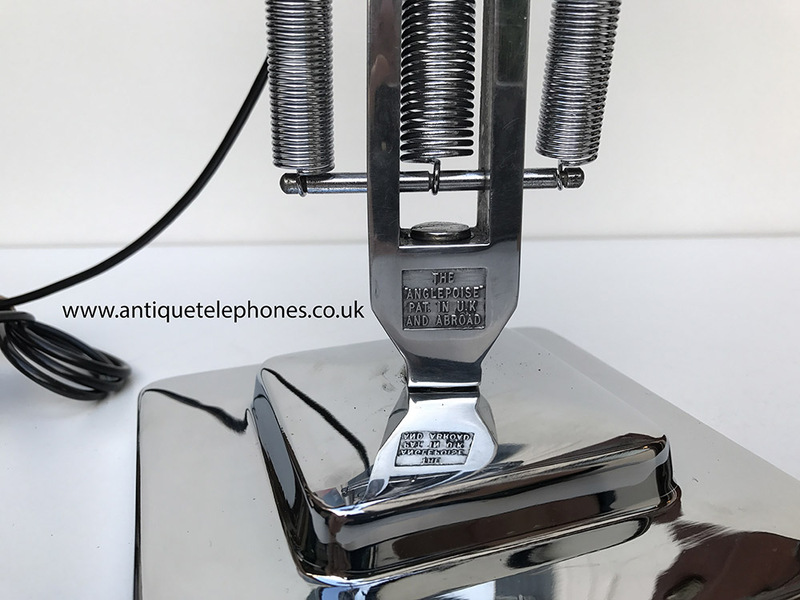 A superior quality braided flex is used to which replacement grommets, a new lampholder and a new Bakelite plug are fitted. 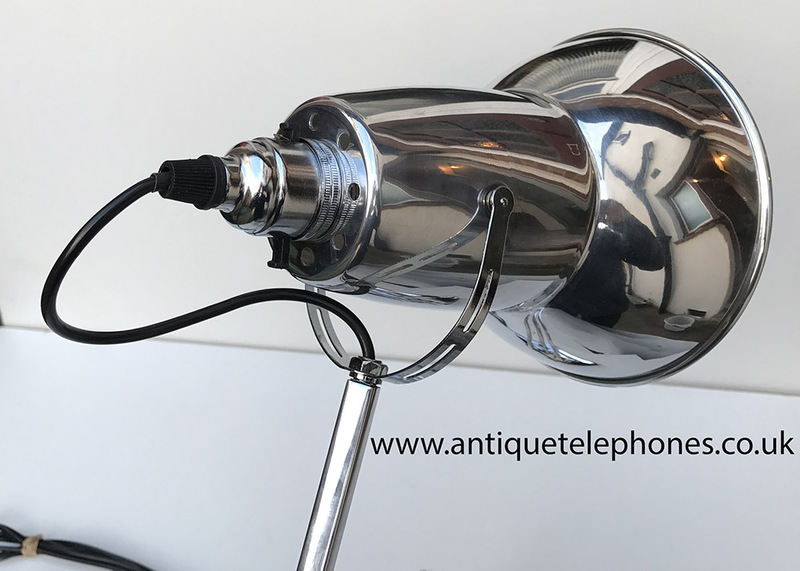 The craftsman who restores these Anglepoises for me has been doing them for many years. He showed me the process and I was very impressed with the amount of work involved in getting them not only to a wonderful visual standard but in their operation and perfect balance. 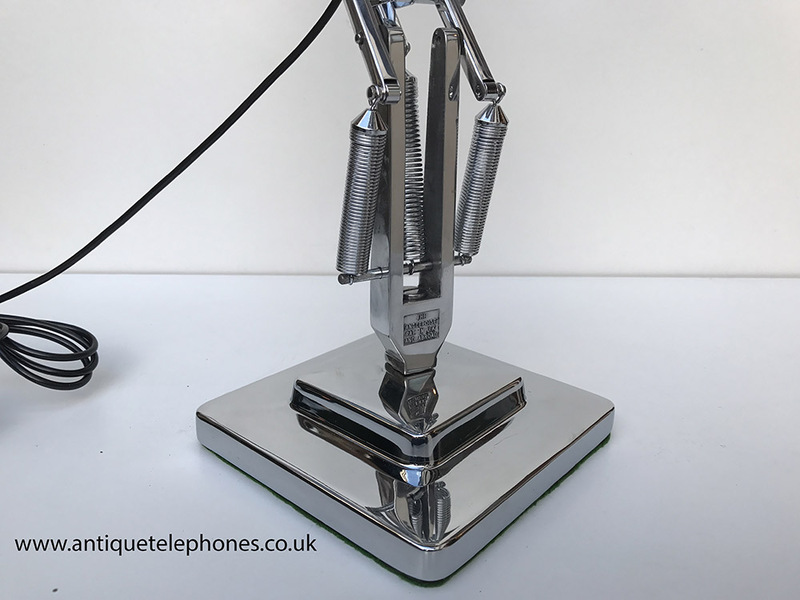 I can supply Anglepoises in a stunning all-metal polished aluminium and chrome finish; or, painted in the traditional black, green, red or yellow hues that are colour matched to replicate those used by the factory during the 1950’s. The painted Anglepoises may have some very slight imperfections because they are not production pieces but very much a low volume hand finished item. 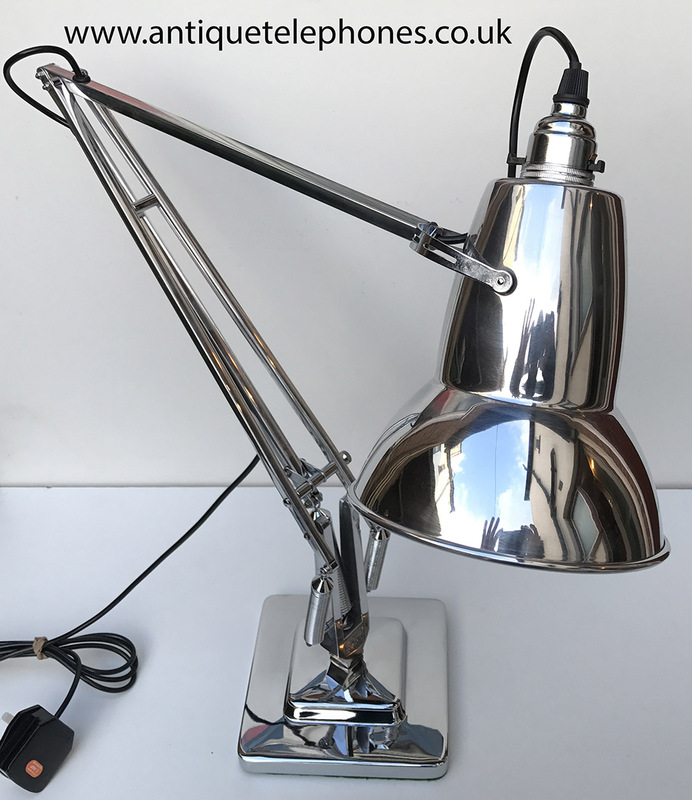 Probably better than when they were made in the 1940s and 1950s but don't expect perfection like you would get from items painted by a computerised robot. Pictures of colours available below.